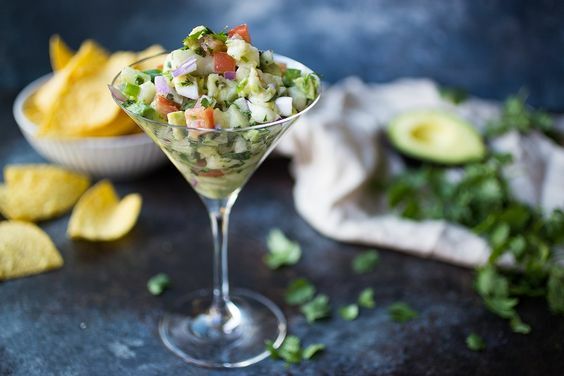 Ceviche might seem like one of those fancy appetizers you only get at a restaurant, but it’s about time that changed! Ceviche doesn’t require any cooking and it really prepares itself. Plus, it is SO tasty, fresh and full of nutrition. Ceviche is also super customizable, so you can try different ingredients and make it exactly the way you like it. Halibut is my all-time favorite fish option for ceviche but you can also use shrimp (although this would need to be cooked), sea bass, grouper, sole, flounder or any other semi-firm white fish. This dish is a perfect option for Cinco De Mayo which is just around the corner, or it makes a wonderfully simple and fresh lunch or dinner for any occasion! 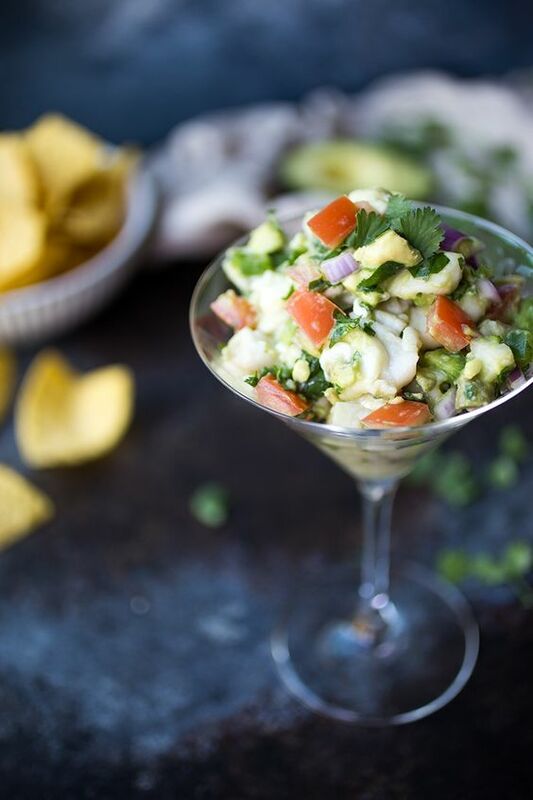 I love to serve my ceviche with Jackson’s Honest Coconut Oil Tortilla Chips, but if you prefer to keep it strict-paleo, you can go without the chips or find an acceptable low-carb and grain-free alternative. Chop halibut into small cubes and place into a lidded container. Add fresh lemon and lime juice and allow fish to marinate in the fridge for about 4-6 hours. Remove fish from the fridge and strain off the lemon and lime juice. Chop all remaining ingredients except for the salt and avocado and mix well with the fish. Once fully combined, add the avocado and gently combine being careful not to completely mash the avocado. Add a bit of sea salt, to taste.